Nothing shows the true essence of fall like a good ol' pumpkin. The fun part about fall is switching up the closet to suit the weather. I have to admit, my wardrobe is not the only thing that gets a makeover for the weather, so also does my beauty bag. I have shared with you all in the past how obsessed i am with lip balms but even more so as the weather gets extra dry and crisp. First thing i reach for in my makeup bag is my lip balm. No, no, no, i can't deal with dry lips for a second. I have gone through all types of lip balms in my life and some have just been for the fun of it or out of curiosity but i have only a handful that i know will always be there for me. 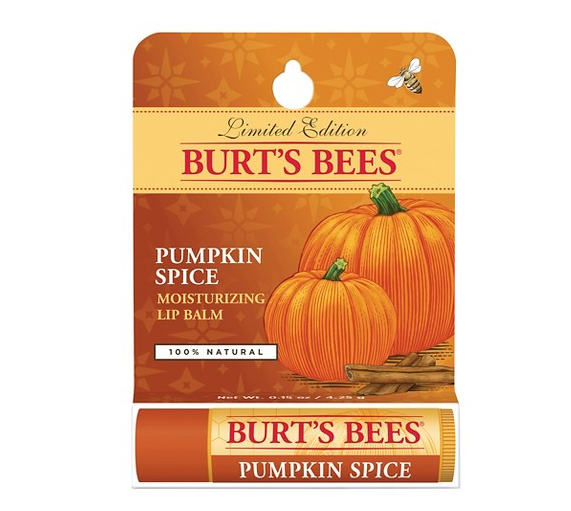 One of which is Burt's Bee Lip Balm. Burt's Bees has and will always be one of my favorite beauty brands because their products stay true to what they promise. They work! I have been using their products for years and i can tell you, they know their stuff. It is easy to chose a lipstick based on its color, brand and staying power but a good lip balm is everything a lipstick may not do for you and some, period! 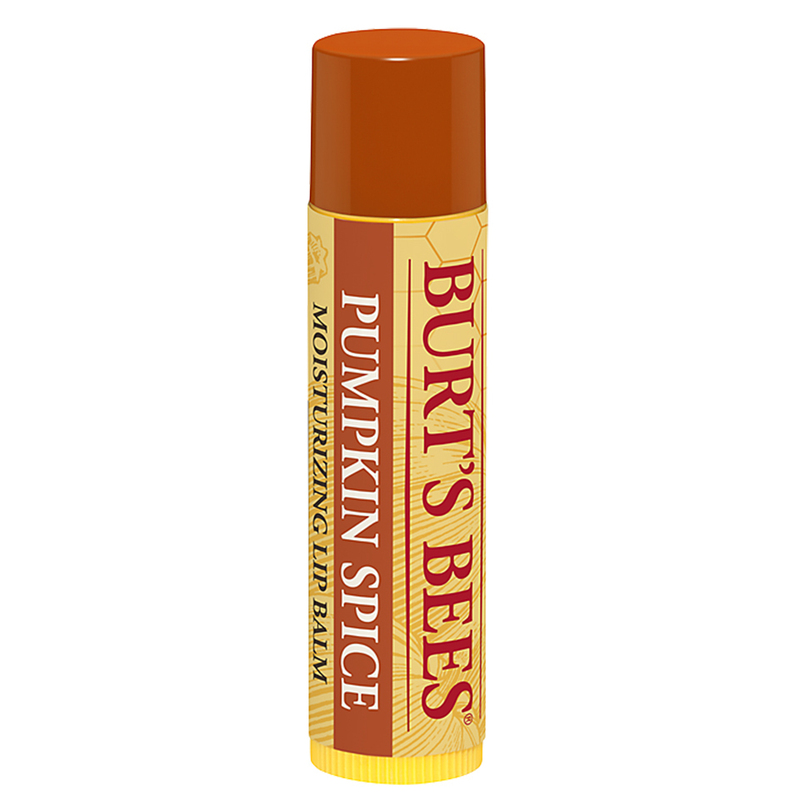 I usually have more than one lip balm in my beauty bag but Burt's Bees is a permanent fixture. Why? It moisturizes very well, heals chapped lips, protects my lips and serves as a good base for my lipsticks. My lips have to stay moisturized all day long because it is an unspoken confidence booster and even when i skip a lipstick or gloss for a day, my lip balm will always be on. 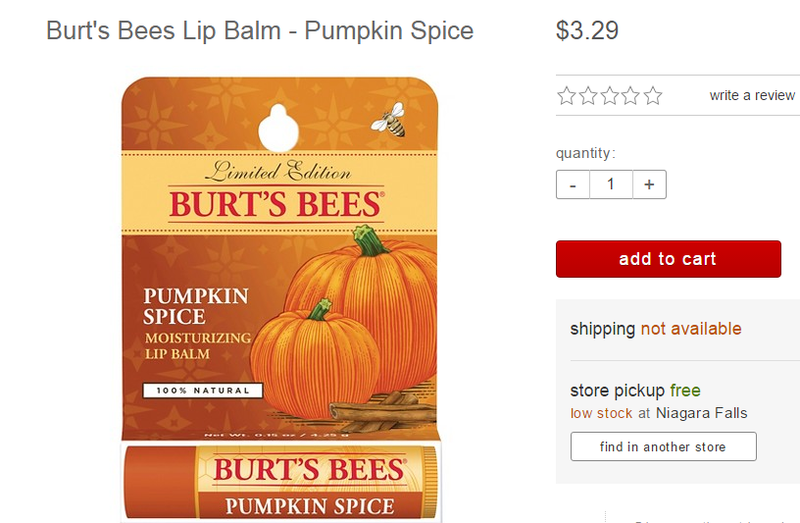 Target introduced the Burt's Bees Pumpkin Spice Lip Balm last year in their stores nationwide and now it is back again! This limited edition is available in the beauty section in Target stores ONLY. You can actually go on the Target website to buy yours before they are sold out but you will have to go the nearest Target store to pick it up. It will automatically list the closest stores to you based on your location and even tell you if it is in stock or low in stock. How awesome is that? I am all up for spicing up my beauty game this fall/winter. Who is with me on this plan? Disclosure: This is a sponsored post written by me on behalf of Burt’s Bees at Target. All opinions are 100% mine.